At Clip 'N Climb North Shore, the easiest and simplest way to secure a spot for your Clip 'N Climb session is to BOOK ONLINE on our website. We have a LIVE! Online Booking Platform which works in a first come first served manner. We have a maximum capacity of 50 climbers per session. You are welcome to Walk-In but it will depend on the availability on the day. Sorry NO Telephone Booking is available! ONLINE BOOKINGS in the weekends and during school holidays are essential. If you choose to WALK-IN, please be sure to arrive and allow 30 minutes or more for processing before your preferred session. MULTIPASS holders, please book online as a General Admission customer and enter your Multipass Code in the ‘Add Discount Code’ at the payment page. Gift Card holders, please book online as a General Admission customer and enter your Gift Card Code in the ‘Redeem Gift Card’ at the payment page. 2-FOR-1 VOUCHER holders, please book online for the number of 2-FOR-1 voucher(s) that will be redeemed. Remember to bring along and present your voucher(s) on the day to receive the FREE climbing pass(es). Full GA pricing will apply if NO voucher or expired voucher is presented! At Clip 'N Climb North Shore, your General Admission entry price includes the hire of the full safety equipment, a 10 minute introduction and safety briefing to ensure you are ready for your 1 hour climbing session on our 38 stunning walls . Please arrive 30 minutes prior to your booked session for processing, harnessing up and your 10 minutesafety briefing. Please note Clip 'N Climb North Shore requires children aged 13 years old and under be accompanied by a responsible adult who is required to sign the online General Terms and Conditions and Waiver Statements on the children's behalf and be present at Clip 'N Climb North Shore premises during the climbing session. Unaccompanied Children will not be allowed to climb and will lose their booked session. Exception for After School Program attendees. Children aged 14 and 15 years old may be independently present at Clip 'N Climb North Shore premises by themselves but require a responsible adult to sign the online General Terms and Conditions and Waiver Statements on their behalf before the climbing session. 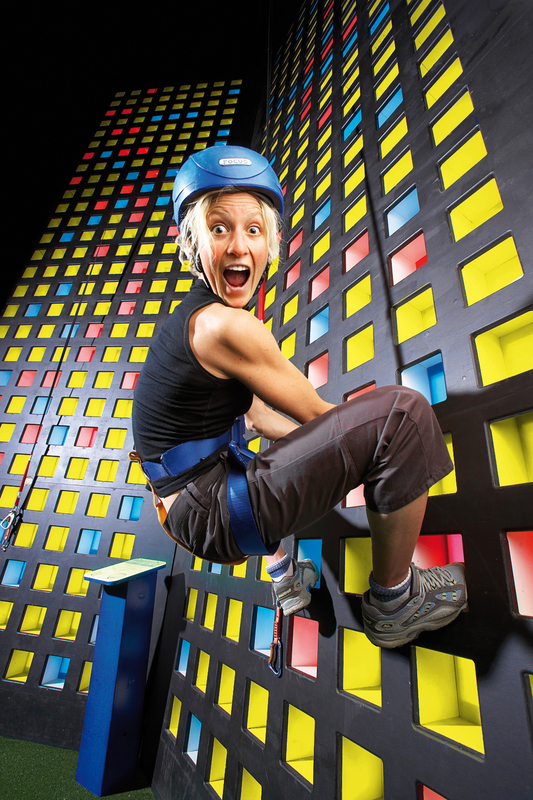 Here at Clip 'N Climb North Shore, we also have 2 special Ultimate Challenges, the Leap of Faith (LOF) and Vertical Drop Slide (VDS), for those who are up for the ultimate extreme adrenaline pumping experience. These can be added on to your General Admission booking or be purchased at the reception during your visit. Please Note: Ultimate Challenges are only available to those participating in a full Clip ‘N Climb session. LOF: Leap out into space after climbing up the pole and see if you can catch the sumo bag. The further you leap the harder it is – see how far you can fly. VDS: Free fall and drop down from 9m high (or lower). You set the height - then Let Go! More information about our General Admission, Parties, After School Programmes, School Groups, Group and Corporate Events, and Exclusive Hire can be found under (MENU) / INFORMATION / PRICING and WHAT WE OFFER tabs.